I’m a big fan of Ken Priebe’s poetry and illustrations. His book, Gnomes of the Cheese Forrest, is absolutely hilarious. Our family laughed out loud, literally, over and over as we read and explored. This is a good example. Enjoy! 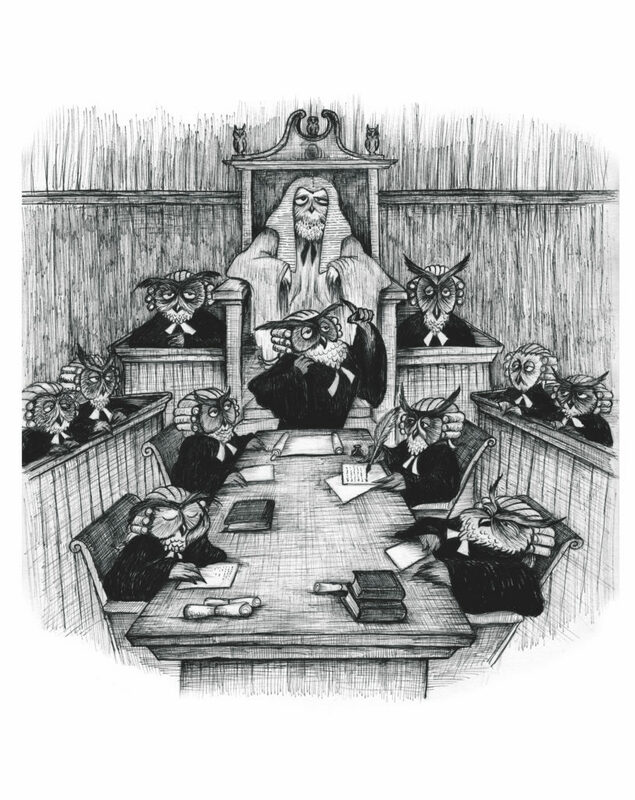 The Parliament of Owls will now come to order. Something must be done about this trouble at the border. I have to say, the murder of crows should never be ignored! and the Gang of Turkeys has another siege of herons planned. I think we should address to them a reprimanding letter. may need to be enlisted to dispel that Pack of Dingoes. the sloth of bears and pride of lions put us in this mess. so the Congress of Baboons will have to take it all from here. Originally from Michigan, he lives near Vancouver, Canada with his wife, two kids, two cats, one dog, and the monsters in his head. He also has an obsession with animatronic rock bands.